AVONDALE, La. 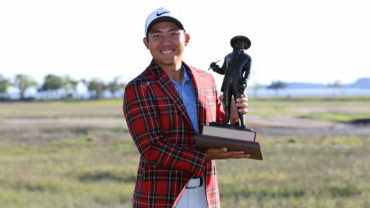 – Seung-Yul Noh became the first player to complete 54 holes at the TPC Louisiana without a bogey and strung together three birdies late in his round Saturday to surge two strokes ahead of Keegan Bradley atop the Zurich Classic leaderboard. Noh shot a 7-under 65 to reach 18-under 198. Bradley, who began the day tied for seventh at 9 under, pulled into a tie with Noh for first on No. 15 with his seventh birdie of the day. Then, Noh, who was tied for third at 11 under after two rounds, made birdie putts of 13 feet on 14 and 10 feet on 15 before hitting a 112-yard approach shot to a foot for another birdie, bringing him to 18 under. Robert Streb was third, three shots back after a 68. Ben Martin, who had a three-shot lead after two rounds, shot a 73 to drop into a tie for fourth with Jeff Overton and Andrew Svoboda at 14 under. Overton shot 67, and Svoboda 70. Noh, from South Korea, has been playing with yellow and blue ribbons affixed to his cap to honor victims of the fatal ferry accident in the waters off of his home country. 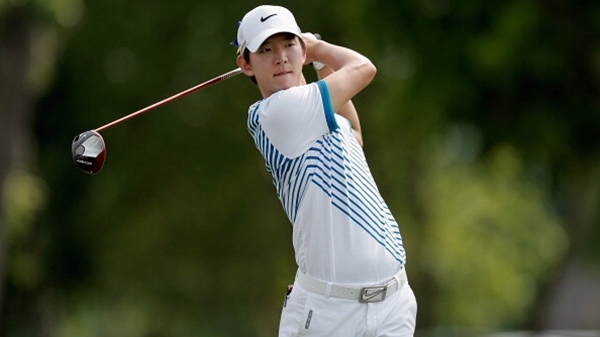 He said he hoped he could play well Sunday to provide Koreans with a dose of good news. This marks the first time that Noh has led a PGA Tour event through three rounds. This is his third year on the tour, but he finished outside the top 125 on the money list last season, forcing him to play in Web.com Tour Finals events to retain his tour card. He had never before been higher on the leaderboard than tied for second through three rounds. That happened once at the 2012 AT&T National, but he shot a 2-over 73 in his final round to finish tied fo fourth, his best finish in 77 previous career PGA Tour starts. Martin had raced to the lead with a course-record 10-under 62 in his first round, and his 36-hole score of 129 also was a course record. Teeing off with the final group, his trouble began on the par-5 second hole. He pushed his second shot to the right toward the crowd. His ball hit a spectator and kicked right into a cluster of long pompass grass, out of which it was virtually impossible to hit. Martin took a drop and wound up with a bogey. Two Canadians qualified for weekend action in Louisiana. 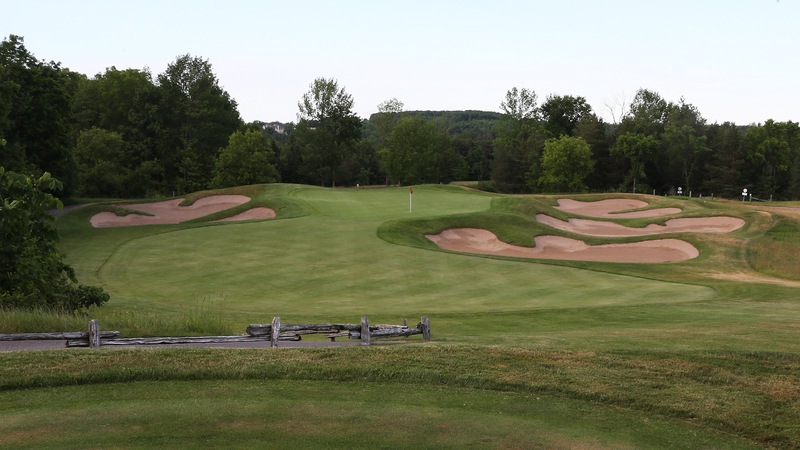 Graham DeLaet is at 8-under 208 and is tied for 28th, while David Hearn is tied for 50th at 5-under 211.